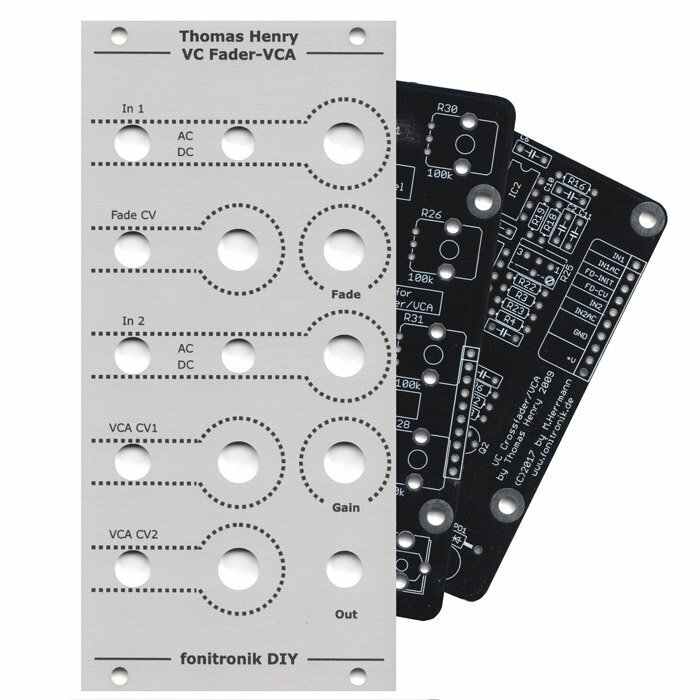 This is a panel and PCB set for building Thomas Henry’s Voltage Controlled Crossfader/VCA. 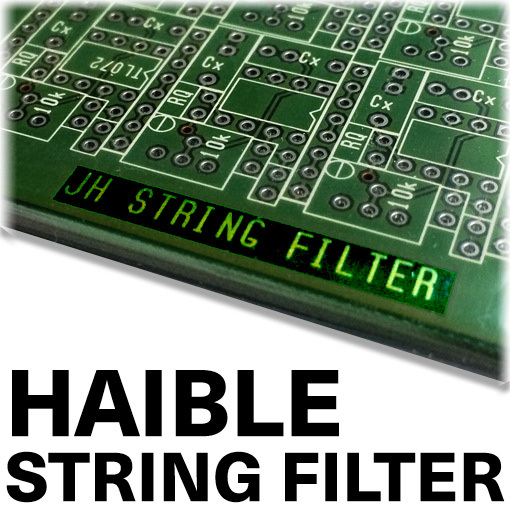 Back in 2012 Thomas Henry published this circuit as a kind of apprentice piece. One might think that this is a rather large module for being just a crossfader, however, it gives you alot of control. A lot.